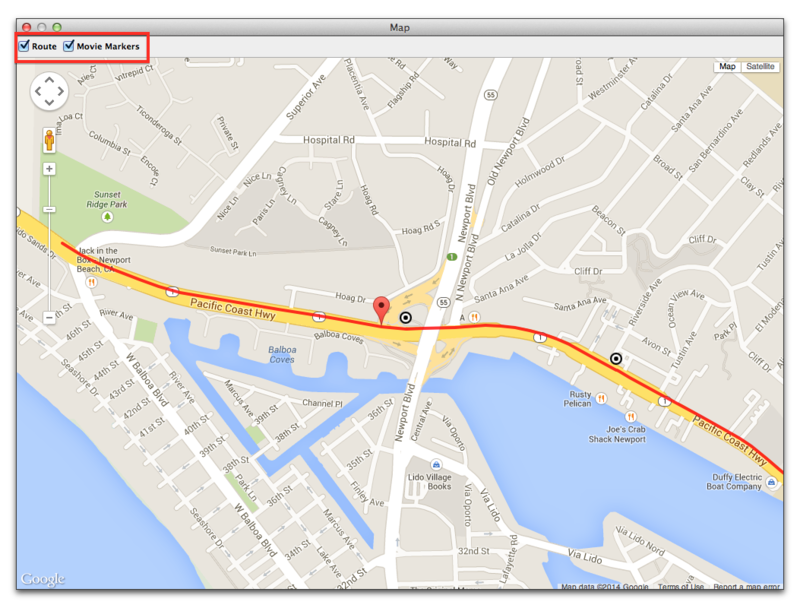 Dashcam Viewer v1.4.5 adds a feature that’s been long in coming: Map routes! You can now toggle on or off your vehicle’s route in the Map View. Version 1.4.5 is available for the Mac and Windows. Please see http://dashcamviewer.com for a list of compatible dash cams. Map View showing route and movie-start markers. Much improved map placemark accuracy. Vehicle location will not jump around on the map as before. Improved support for Mini 0803 GPS information display. Note that resolutions higher than 1080p do not seem to work in DCV. If the Mini 0803 videos do not appear to play, try reducing the resolution of the recording in the Mini’s settings to 1080p. Added support for Visiondrive VD-9600 dual-channel dashcam. Use the free Visiondrive 9600 Converter to extract the front and rear movie channels plus the GPS data. Added preliminary support for Novatek Street Guardian SG9665GM dashcam. Support is considered beta at this time. Improved handling of second channel movie window of two channel movies. If some movies do not have a second channel then the second video window is now hidden. Second channel video now has the correct aspect ratio of the video. Previously, the second channel video aspect ratio was hard-coded 2:1.